InsuranceFundi | If you hate life insurance then you will love this! If you hate life insurance, you’ll love this! What if I told you: “For every Rand spent with me on life insurance, I’ll invest up to one of my own Rands into an investment in your name”? Well, if it was me saying that, then I’d recommend you run for the hills, but if someone with more financial muscle is promising to do just that, then maybe you should sit up and take notice. How familiar are you with the word “Indie”? Everywhere you turn nowadays, there’s Indie this and Indie that, so I looked up the definition. Turns out, it’s got something to do with how you think – independent from what everyone else wants you to think. Basically, someone who follows their own mind. So, yes, many of us have heard of Indie authors, Indie rock music, and Indie movies, but what about Indie life insurance? Indie has one aim, and one aim only – to transform the life insurance industry. Let’s be honest, life insurance isn’t the most exciting topic under the sun, and so, for Indie to say they intend to transform financial services, I mean come on, really? There are so many ways you can spin the same old story. We’re all going to die, some of us are going to become disabled, and plenty more will suffer from one or another dread disease. Isn’t it time we focused on planning to live? What could someone add to your life insurance which would make you drop your instagramming, and hit the “get a quote” button on their website? Would money back after 5 years do it for you? Or how about the ability to skip premium payments and still remain covered? Or how about a life insurance company which invests as much as 100% of your premium, so when you give them R1,000 a month for life insurance, they then invest up to R1,000 a month into an investment belonging to you? Hang on…did I just say that? That last bullet-point sound unbelievable, right? But that’s exactly what Indie is offering you. If I’m under 30, Indie will invest R217 a month into my investment, and I’ll get approximately a R1,5 million Wealth Bonus at age 70. If I’m 50 at the time, Indie invests 50 cents for every R1 I pay until the day I turn 70. And every 5 years, I get access to 10% of my investment or can choose to reinvest the cash and watch it grow. Indie says they can do this because they don’t have the overheads of a traditional life insurer. There’s no commissions to pay, that sort of thing. Why should you trust Indie? Sanlam is backing the whole operation. 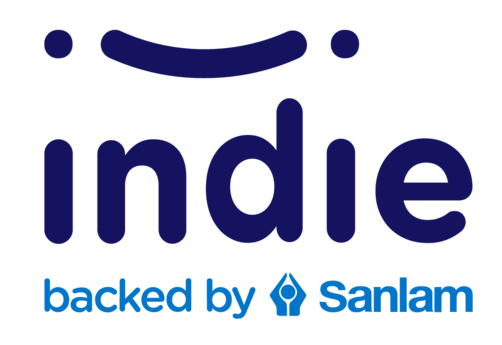 In fact, Indie is a division within Sanlam. That means Sanlam is paying your claims as well as investing your money. Your life insurance contract is with Sanlam. So how does Indie make money? Part of your premiums pays for getting someone else to take out an insurance policy. On top of that, your first years’ worth of premiums are paid to your financial advisor as commission. Finally, 50 to 60% of all your premiums go towards paying other people’s claims. To make a profit, insurance companies must sell a lot of life insurance at the lowest possible cost. These costs are known as ‘acquisition’ costs. Then the insurer needs to keep those policies active for as long as possible to make a profit. This is known as ‘retention’. So basically, the insurance company uses your premiums to pay out claims, cover the cost of attracting new clients, pay for all the medical tests they require, as well as cover things like staff salaries and rent. retain their life insurance clients by offering clients the cost savings as an investment which matures once you turn 70, then Indie has a winning business formula. What happens if you stop your Indie Life Insurance before 70? Well, all good things must come to an end, and so it is if you stop your policy before the time : you lose your locked portion of the investment, but you’ll get to take the 10% that was unlocked every 5 years. At the very least, it makes sense to keep your Indie life insurance for at least 5 years to get your 10% paid out. But why would you want to stop when Indie is meeting your premium Rand for Rand? What sort of insurance can you buy at Indie? You have the option of either applying online or you can leave your details and have them call you back. Another nice thing is that the Indie minimum cost is R100 a month. Other life insurers have minimum costs starting from R150 per month. Look, Indie is making waves in the life insurance market, and that’s a good thing as more and more life insurance companies will be forced to step up to the plate. We see Indie as being especially popular with the younger set who want no-frills life insurance with a simple application process and a guaranteed Rand for Rand investment payable to them once they turn 70. In fact, Indie has marketed it in such a way, that if you’re younger than 30, then Indie will meet your investment with them Rand for Rand. Face it, none of us likes paying for life insurance where the only people who benefit, are your beneficiaries, or the insurance companies if you cancel ahead of time.